Arimedadi tail - therapeutic oil that is used for the prevention and treatment of most diseases of the oral cavity, gums and teeth. Indications: any toothache, stomatitis, gingivitis (gum inflammation), ulceration of the mucosa, sore throat, neuralgia, sore throat. Accelerates the regeneration of oral mucosa in any surgical intervention. Ariodate tail applies if you have "pockets" around the tooth, tooth decay, dental caries, ulcers on the gums, bad breath, weak gums, discoloration of teeth and other diseases. 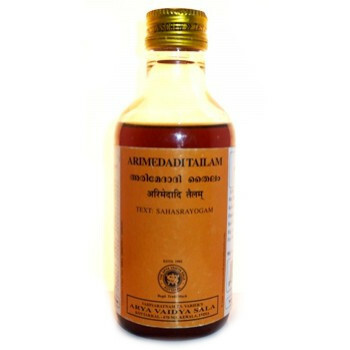 Content: arimeda, sesame oil, garica (red ochre), agar, padmaka, patanga, manjistha, madhuka, lodhra, nyagrodha, Narakasura, must, twak, jotipala, datatypes, karpura (camphor), konkola, Khedira, Kampala. Application: rinse mouth with a small amount of oil, rubbed into the gums two or three times a day. Original name: Arimedadi tailam Arya Vaidya Sala. 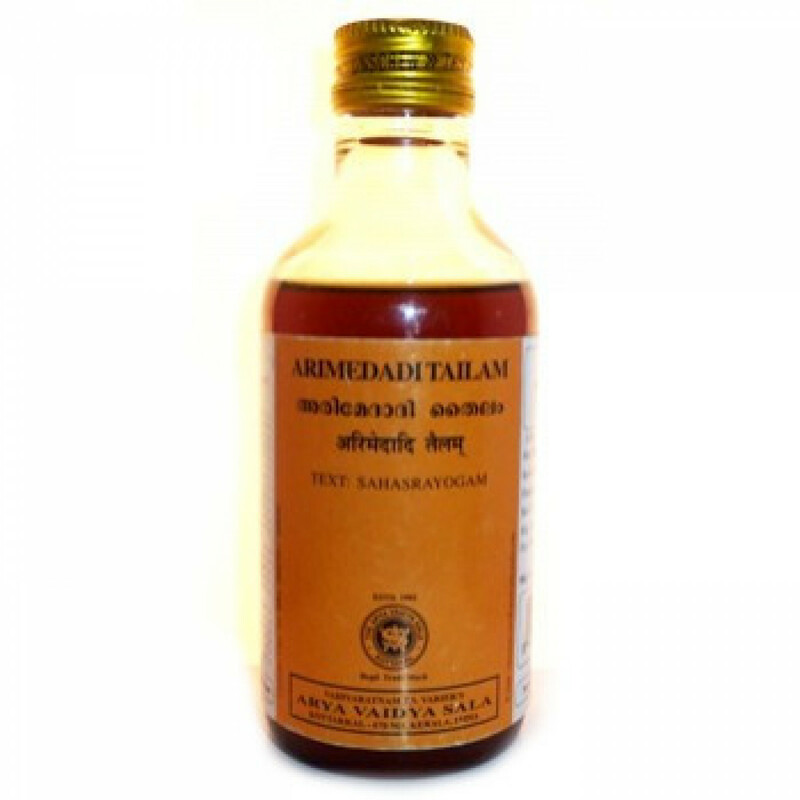 In our store You can buy authentic Arimedadi taill Arya Vaidya Shala at the best price!